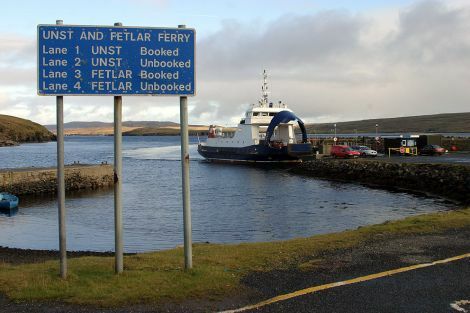 A THREE-STRONG delegation from Shetland Islands Council will meet Scotland’s finance minister on Thursday in the hope of securing greater financial help to plug a £7.6 million shortfall in funding for inter-island ferry services. Council leader Cecil Smith will be accompanied by outgoing SIC chief executive Mark Boden and finance manager Jonathan Belford to meet Derek Mackay in Edinburgh. It comes as the council continues attempts to hold the SNP government to its pledge to put “fair funding” in place for council-run ferry services, which are largely underwritten by the government on Scotland’s west coast. The council’s environment and transport committee chairman Ryan Thomson said there was a sense that the government is “definitely listening” to the case made by Shetland councillors and their Orkney counterparts. But whether any extra money will be forthcoming at a time when there is pressure on all aspects of government spending following seven years of austerity is another matter. The SIC currently spends £7.6 million more than it receives – nearly half the entire £15.8 million revenue budget for ferry services. That is without considering the capital funding requirements. Assuming new vessels and ferry terminals – rather than fixed links – are the chosen option, a programme amounting to £120 million of spending over the next 18 years will be required. Again, the council argues that the government should pick up the tab for that expenditure.